Guardianships, because they are so powerful, should be used sparingly. Other less restrictive forms of assistance may be more appropriate. This is one of seven NebGuides in this series. 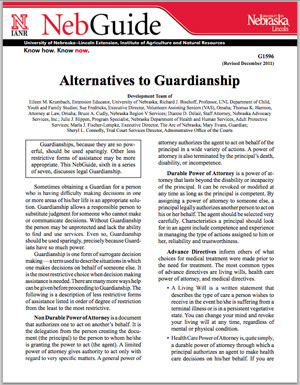 Also see the UNL Guardianship Web site.